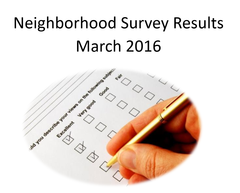 We are pleased to provide you the results of our recent neighborhood survey. It was sent out to the 516 people on our email list on March 23rd. We had an 18% return which, by survey standards, is considered "good". Thanks to all 92 neighbors who took the opportunity to provide their valuable opinions and information. We will use the survey results to focus our activities for the next year to ensure we are working to resolve the issues the community deems most important. Our survey responders gave many more comments on why we love to live in Belmont Heights (reflecting on the pride we feel in our community, and the friendliness of our neighbors) than the other questions we asked, but they also pointed out the things we need to work on to improve the quality of our everyday lives. 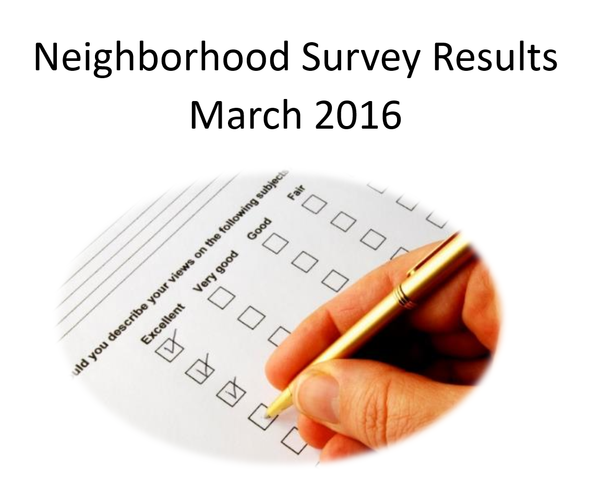 According to our survey, the top four issues vexing our neighbors are: Traffic, Parking, Crime and Noise. If you have an interest in any of these issues, we invite you to volunteer to be on one of our task force teams who are looking for ways to reduce the negative impact of these problems over the next year. If this isn't something that fits with your time and interest, you may still consider a number of other ways you can contribute your time and skills to improve our community and our organization. We would welcome your help in whatever measure you are able to contribute. It takes a lot of volunteers to make our community association strong. View more details in the Survey Summary and Survey Comments. As one survey respondent describes us: We are... "The community within the larger city where neighbors strive to engage each other and to maintain and improve our area." Please join us in making Belmont Heights the best neighborhood in Long Beach. To sign up for a task force team or to volunteer on another project, or if you have questions, please contact us at [email protected].